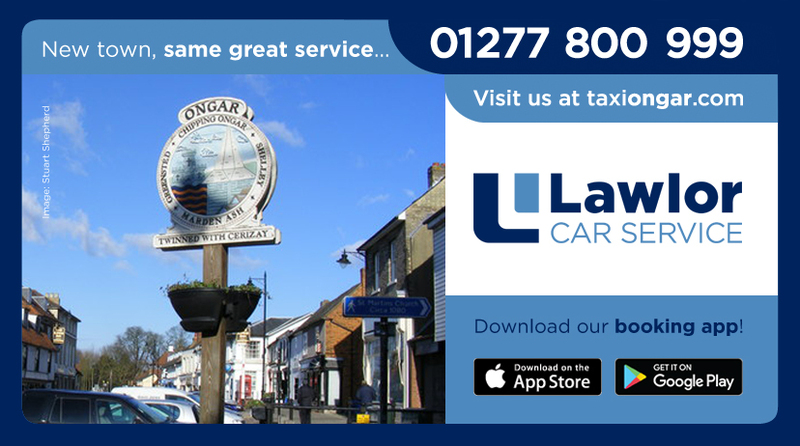 Lawlor Taxi Ongar went live on Monday March 2017. In May 2017 we started working with Ongar Car Service to providr an even better service. Lawlors who have provided Taxis and transport to the residents of Epping since the 70s and took the decision to start their service in Ongar due to a high number of customers saying they would live to use our Mobile Booking App in their home towns and villages. The app was opened over 100 times I the first week which shows our new customers love the way it works. We have the latest technology to offer and we hope the locals in Ongar and all surrounding areas will enjoy what wee have to offer.